NEW DELHI (Reuters) – India’s Jammu and Kashmir state withdrew the security details for 18 separatist leaders and 155 other opposition figures on Wednesday after an Islamist suicide bomber killed 40 paramilitary troopers last week. The restive mountain state is currently administered by India’s federal government after Prime Minister Narendra Modi’s Bharatiya Janata Party walked out a coalition with a major Kashmiri party. The separatist leaders had been allocated security personnel to protect them from militants after they entered talks with the federal government. In a statement, the Jammu and Kashmir state government said it “felt that providing security to these separatist leaders is a wastage of scarce state resources which could be better utilized elsewhere”. Besides the separatist leaders, the security of 155 political figures and activists – some from mainstream opposition parties – was also withdrawn, the statement said. “Through this (step), over 1,000 police personnel and over 100 vehicles are freed to do regular police work,” it said. Both India and Pakistan lay claim to Kashmir and have twice gone to war over it since independence from Britain in 1947. India accuses Pakistan of fomenting decades of sporadic insurgency in its only Muslim-majority state. Pakistan denies that, saying it only offers political support to the Kashmiri people. BEIJING/SYDNEY (Reuters) – Chinese authorities are holding an Australian writer, who used to be a Chinese citizen, on suspicion of endangering state security, China said on Thursday, and his lawyer said he was suspected of espionage. Australian officials said Yang Hengjun was detained shortly after he flew in to the southern city of Guangzhou from New York last week, but it did not believe his detention was the result of rising tension between China and the West. Chinese foreign ministry spokeswoman Hua Chunying said that Australia was officially notified after Yang was placed under “coercive measures” – a euphemism for detention – in Beijing. “The Australian citizen Yang Jun, due to being suspected of engaging in criminal acts that endangered China’s national security, was recently placed under coercive measures and is being investigated by the Beijing city State Security Bureau,” Hua told reporters. Yang’s rights and interests were being protected in accordance with the law, she told a regular news briefing in Beijing, using a slightly different name for him. Australian Defence Minister Christopher Pyne, arrived on in Beijing on Thursday on for scheduled talks, said Australia would normally expect to be told of such a case within three days under existing diplomatic conventions. Yang went missing on Friday and Australia was not told until four days later. Pyne said the late notification was disappointing and he would be raising it in his talks with Chinese officials. “He’s being held in residential surveillance,” Pyne told reporters. The Australian government was first alerted that Yang had gone missing after friends said he had been out of contact for several days. Yang’s lawyer, Mo Shaoping, told Reuters that his client was suspected of “espionage”, and was being held under “residential surveillance at a designated location”. The special detention measure allows authorities to interrogate suspects for six months without necessarily granting access to legal representation. Rights groups say that the lack of oversight raises concern about abuse by interrogators. Mo said he had been retained by Yang’s wife but because the case involved state security, he would need approval from the authorities before he would be able to meet Yang. Tensions have risen in recent weeks between China and some Western countries after two Canadians, a diplomat on unpaid leave and a consultant, were arrested in China on suspicion of endangering state security. Those arrests were widely seen in the West as retaliation by China for Canada’s arrest of Meng Wanzhou, a senior Huawei Technologies [HWT.UL] executive, on Dec. 1 at the request of the United States for allegedly violating U.S. sanctions on Iran. Australia joined international condemnation of the arrest of the two Canadians, but Yang has long been in the sights of Chinese authorities. He has criticised what he described as Chinese interference in Australia. Feng Chongyi, an academic at the University of Technology in Sydney, said he asked Yang not to go to China because of the tension. “I didn’t think it would be safe for him because of the situation with Huawei but he believed that he would be fine as he had been there so many times,” Feng said. Australian Foreign Minister Marise Payne said staff from Australia’s embassy met Chinese officials on Thursday and, while details were limited, she said there was no evidence Yang’s case was linked to Australia’s criticism of the detention of the Canadians. “I’d be concerned if there was an indication of that,” Payne told reporters in Sydney. Yang was also reported missing for several days while in China in 2011. Two sources familiar with the details said he had been detained but agreed to say he had been unwell. However, Yang is not seen as a radical dissident. He became famous in the 2000s for his political essays, which earned him the nickname “democracy peddler”. In recent years, he had published little commentary, instead writing more fiction, including a trilogy of spy novels. Deng Yuwen, a Beijing-based political analyst who knows Yang, told Reuters that he did not know the reason for Yang’s detention but that his WeChat accounts had been deleted. “He has basically not publicly released any political essays in recent years,” Deng said. Chinese President Xi Jinping has presided over a crackdown on dissent since coming to power in 2012, with hundreds of rights lawyers and activists detained. Dozens have been jailed. Relations between Australia and its largest trading partner have been strained in recent years and Pyne’s trip was arranged in a bid to repair ties damaged by Australian accusations in 2017 that China was meddling in its affairs. Analysts said Yang’s arrest would add to pressure on Australia to take a stand, and it would prolong tension. “Australia can’t hide from this. It will need to respectfully protect its citizens,” said Rory Medcalf, head of the National Security College at the Australian National University. Prime Minister Theresa May said on Sunday she wanted her security advisers to review a delayed nuclear power investment from China – a source of diplomatic tension – as she arrived in the country to attend a G20 summit. May upset Chinese officials in July by delaying a $24 billion project that would see French firm EDF (EDF.PA) build Britain’s first new nuclear power plant in decades with the help of $8 billion from China. Speaking during her first visit to China, May was asked whether she would ask the National Security Council, a team of ministers supported by intelligence officers, to look at the potential security implications of the Hinkley deal. “I will be doing exactly as you’ve said,” May replied, saying it would be part of her decision-making process. The comment marked the first official acknowledgement that national security was a factor in her decision. The initial delay caught investors by surprise and has cast doubt over whether May, who took office in July following Britain’s vote to leave the European Union, will continue to court China as a major source of infrastructure investment. “This is the way I operate,” May earlier told reporters en route to the summit, which will include a one-to-one with Chinese President Xi Jinping. “I look at the evidence, …take the advice and consider that and come to my decision. “A final decision is expected later this month. May, a former interior minister, is wary of the risks of allowing China to invest in nuclear projects, according to a former cabinet colleague. The EDF deal is viewed as a precursor to Chinese involvement in another two nuclear plants. Asked whether she trusted China, May said: “Of course we have a relationship with them… What I want to do is build on that relationship. Nuclear-armed rivals Pakistan and India will start the process of joining a security bloc led by China and Russia at a summit in Russia later this week, a senior Chinese diplomat said on Monday, the first time the grouping has expanded since it was set up in 2001. 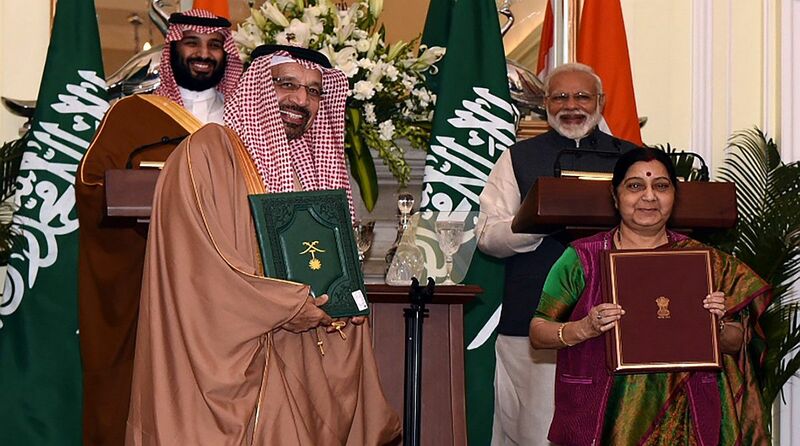 The Shanghai Cooperation Organisation (SCO) groups China, Russia and the former Soviet republics of Tajikistan, Uzbekistan, Kazakhstan and Kyrgyzstan, while India, Pakistan, Iran, Afghanistan and Mongolia are observers. India and Pakistan have fought three wars since 1947, two of them over the divided Muslim-majority region of Kashmir which they both claim in full but rule in part. Pakistan also believes India is supporting separatists in resource-rich Baluchistan province, as well as militants fighting the state. India applied to join the regional security grouping last year and SCO foreign ministers gave a positive recommendation when they met in June. “We await further developments,” said Sujata Mehta, a senior foreign ministry official. Prime Minister Narendra Modi will be in Moscow for a summit of the BRICS group of emerging markets and both he and his Pakistani counterpart, Nawaz Sharif, will attend a special SCO “outreach” session as part of the gathering. Pakistan’s application is being considered, said foreign ministry spokesman Qazi Khalilullah. “We hope they will support us for full membership,” he added. The grouping was originally formed to fight threats posed by radical Islam and drug trafficking from neighboring Afghanistan. Cheng said the summit, to be attended by Chinese President Xi Jinping, would also discuss security in Afghanistan. Beijing says separatist groups in the far western region of Xinjiang, home to the Muslim Uighur minority, seek to form their own state, called East Turkestan, and have links with militants in Central Asia, as well as Pakistan and Afghanistan. China says Uighur militants, operating as the East Turkestan Islamic Movement (ETIM), have also been working with Islamic State. “It can be said that ETIM certainly has links with the Islamic State, and has participated in relevant terrorist activities. China is paying close attention to this, and will have security cooperation with relevant countries,” Cheng said. via Rivals Pakistan, India to start process of joining China security bloc | Reuters. Operationalisation of a new border defence agreement to deal with recurring troop incursions along the LAC besides improving defence ties, is expected to top the agenda of General Bikram Singh as he starts a rare visit by an Indian Army chief to China from tomorrow. “Currently India and China maintain exchanges and cooperation at various levels. This is very significant for the two countries,” Chinese foreign ministry spokesman Hong Lei said here today. “The visit you mentioned will be an important event in military to military exchanges between China and India,” he said commenting on Singh’s visit at a media briefing. “We wish full success of this visit so that the mutual trust between the two armies can be enhanced,” he said. To deal with tensions arising out of the incursions by both sides, India and China signed the Border Defence Cooperation Agreement (BDCA) last year. Singh’s visit was aimed at implementing a number of steps incorporated by BDCA on the ground, officials said. The Indian Army chief’s four-day visit is taking place after a gap of nine years. via Army chief Bikram Singh to begin rare China visit tomorrow – The Times of India. At least six people were wounded in a knife attack at Guangzhou Railway Station yesterday, the third assault on civilians at train stations in two months. Witnesses said four assailants began attacking passengers at random at about 11.30am. One was subdued by police and a luggage handler after being shot by an officer. But police said later on social media that only one suspect was involved. Witnesses also said one of the injured was a middle-aged Westerner, but Guangzhou police denied any foreigner was among the victims. At least four people were taken to the General Hospital of Guangzhou Military Command, local police said. Three were in stable condition after surgery. The attack comes less than a week after an explosion at a railway station in Urumqi – capital of Xinjiang , the vast western region home to ethnic minority Uygurs – left two attackers and a civilian dead and 79 wounded. It also follows a March attack at a railway station in the southwestern city of Kunming , in which machete-wielding attackers killed 29 people and wounded 143 in what many in China dubbed the country’s “9/11”. 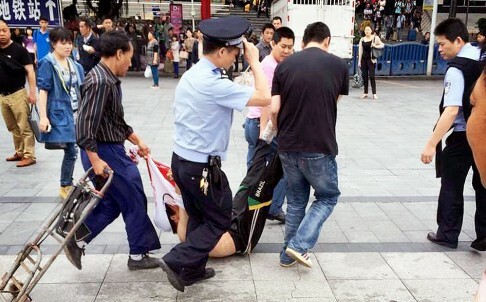 via Six wounded in knife rampage at Guangzhou Railway Station | South China Morning Post. Two explosions on a train in the Indian city of Chennai killed one person and injured nine others Thursday. Authorities believe two bombs were planted in two separate coaches of the Bangalore to Guwahati express train and blew up as it sat at the Chennai railway station in southern India. 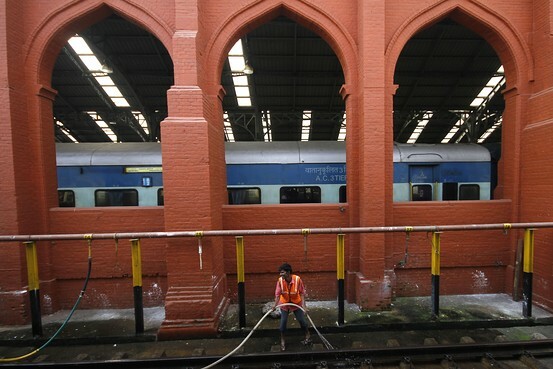 “The police are already on the job, they are investigating what kind of bomb it was and what was the purpose,” Chennai Central station General Manager R.K. Mishra told reporters. One of the bombs killed a 20-something woman that was sitting on the seat under which it was placed, Mr. Mishra said. Two of the nine injured were hospitalized for serious injuries. Police and bomb squads have checked the train for more explosive devices, said Mr. Mishra. “Initial investigation reveals that the blasts were low intensity,” said an official with the Indian Railways. There was no immediate claim of responsibility for the blast in a region of India which is rarely a target of these sorts of attacks. The explosions came despite heightened security as India votes in its massive, rolling general election. In Srinagar in the northern state of Kashimir two explosions targeting election rallies injured 14 people this week. On April 12, a suspected landmine blew up a bus carrying poll workers in Chattisgarh, killing 14.
via Explosions on Train in Chennai Kill One – India Real Time – WSJ. BEIJING, March 4 (Xinhua) — Chinese President Xi Jinping on Tuesday called for resolute opposition to any words and actions that damage the country’s ethnic unity. “We will build a ‘wall of bronze and iron’ for ethnic unity, social stability and national unity,” he said while joining a panel discussion with members from the minority ethnic groups of the National Committee of the Chinese People’s Political Consultative Conference (CPPCC). Xi said the tradition of all ethnic groups in the country “breathing the same air and sharing the same fate” should be handed down from generation to generation. via Xi vows opposition against words, actions damaging ethnic unity – Xinhua | English.news.cn. I wonder if the Chinese NSC is loosely modelled on the US NSA? 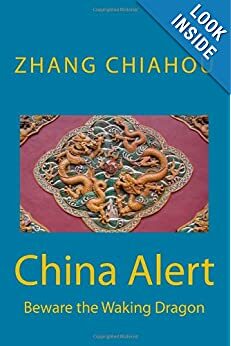 “China’s complex bureaucracy has presented China-watchers with a new analytical challenge in the form of a National Security Commission, which appears intended to help President Xi Jinping consolidate power and enhance administration but which otherwise remains something of a mystery. The new commission, first discussed in detail at a major Communist Party policy conclave in November, will be headed by Xi, with Premier Li Keqiang and leading Politburo member Zhang Dejiang as deputy heads, according to recent state media reports. Most of the rest of the commission’s roster has not been revealed. 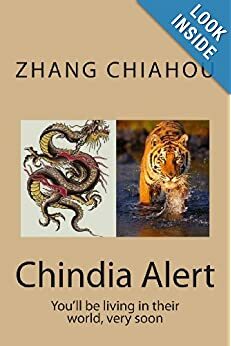 Indications are the NSC will be a robust, influential organ with the potential to change how China faces a range of challenges. Official pronouncements suggest that one of its important tasks will be to ensure a stable environment for major economic reforms the party laid out in November, which will create temporary winners and losers even if they ultimately yield major gains for society overall in the long run. “State security and social stability are preconditions for reform and development,” Xi said in an explanation of the commission’s role published shortly after the new agency was unveiled. How will the NSC operate, and to what end? 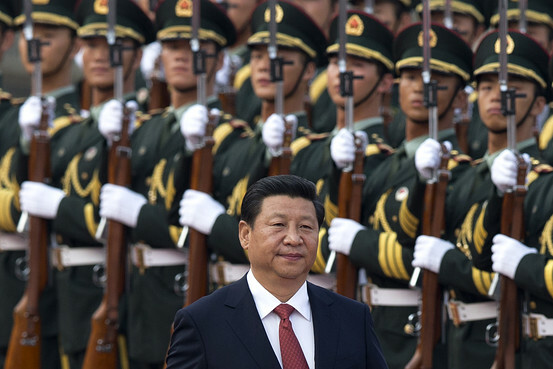 via Why You Should Pay Close Attention to China’s Security Commission – China Real Time Report – WSJ.